Marsicans are an endangered species restricted within the surrounding region of Italy. 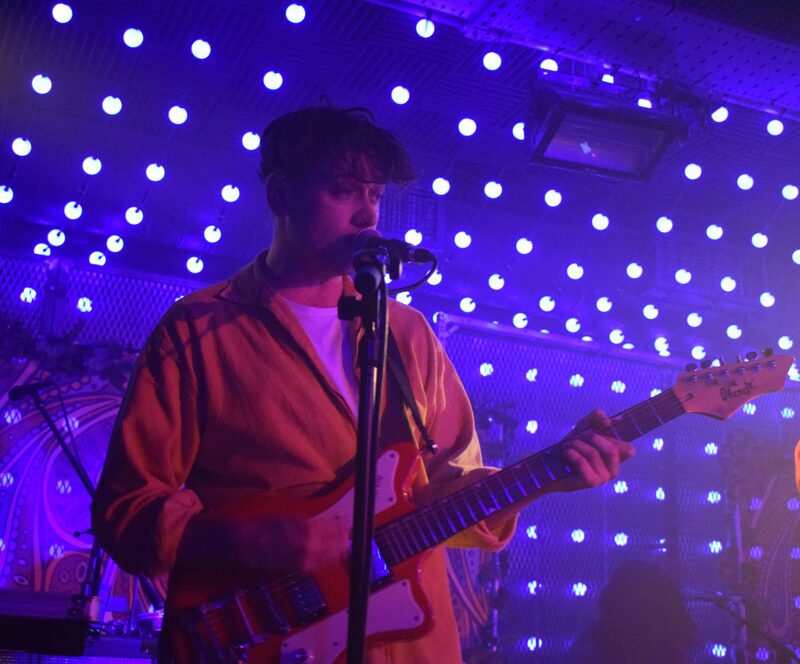 However tonight, burrowed deep within the urban metropolis known as London, the Leeds four-piece of the same name greeted audience at Camden Assembly with exuberance and playfulness like a group of cubs’ eager to welcome listeners into their pack. Guitarist, Oliver Jameson, larked on stage with a grin permanently fixed, bouncing between both bassist, Rob, and lead singer, James, as tracks such as ‘Arms of Another’ and ‘Throw Ourselves In’ buoyed comfortably between coastal and melodic pop in similar vein to Little Comets, with a slight edge that surfed the fringes of Hippocampus and Bombay Bicycle Club. 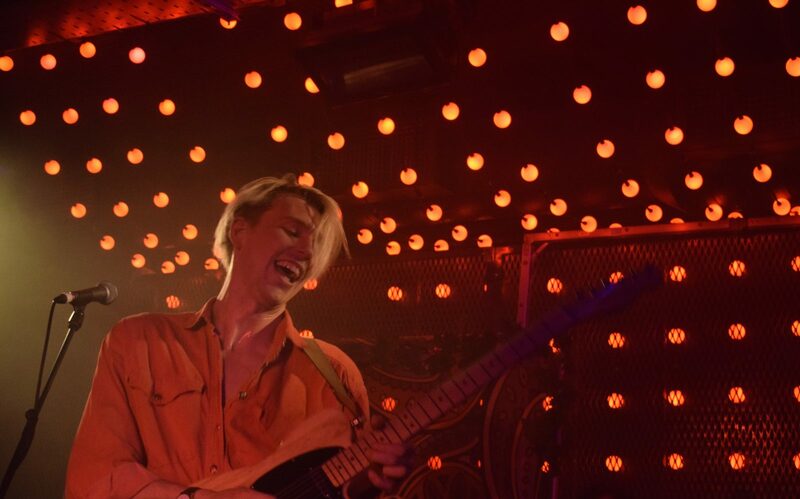 The Radio 1 favourite ‘Friends’ was a jagged snarl amongst spirited growls that ripped through spectators with its blood pumping tempo, steady mix of harmonies and high energy chorus that stirred fans into a tropical-rock frenzy. Whilst drummer, Cale, performed tracks such as ‘Swimming’ and ‘Far Away’ that splashed with tenacious and vibrant colours of intricate percussion accompanied by collective harmonies, soaring beyond the buoyant stage. 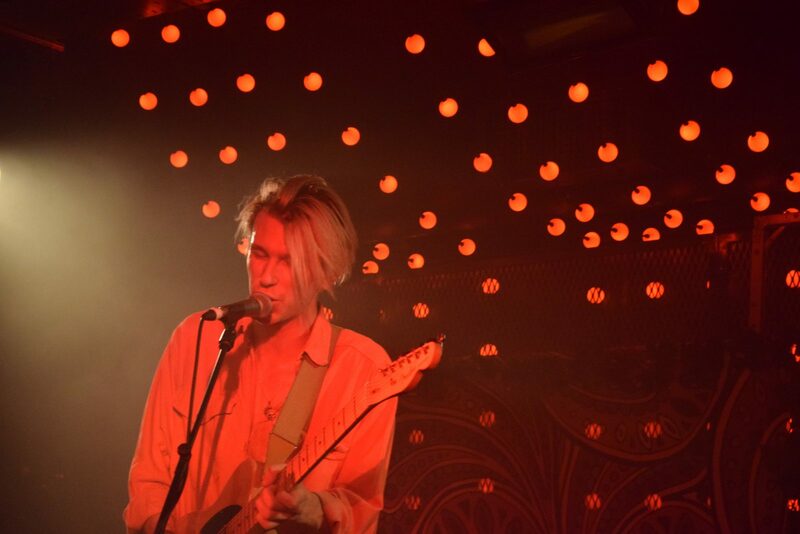 Both ‘Wake up Freya’ and ‘Absence’, the set finale, pooled and swirled listeners into a momentary emotional lapse before seamlessly erupting into a joyous celebration that provoked both audience and performers to shuffle frantically across the venue floor. Marsicans’ blend of tenacious rock and giddy pop is a winning dynamic that proves if not already then soon enough, they’ve got the chops to be the soundtrack to your wild times, idle days and wistful summer evenings.